Huawei has been offering two top-range smartphones for years, with the Mate and P series alternating releases every six months. The best new device from Huawei is the Mate 20 Pro, a smartphone that can do things nobody else can. Here are our first impressions of the device! Choose “I don’t think so.” or “Yes, I think so.”. The Mate 20 Pro is an upper class device, and unfortunately that’s apparent from the price. Huawei is asking for 999 euros (around 1,150 dollars) for its new flagship, so it’s exceeding that symbolic 1,000 dollar barrier. That’s a hefty sum for a smartphone, of course, but that’s still on par with the newest Apple and Samsung devices. Huawei sees itself in direct competition with these two big name manufacturers. There’s also the color variants. In addition to the classic black, Huawei is also offering the Twilight finish that we know from the P20 Pro, There’s a discreet pink version, along with blue and green models. The green variant has a glass black with pinstripes. 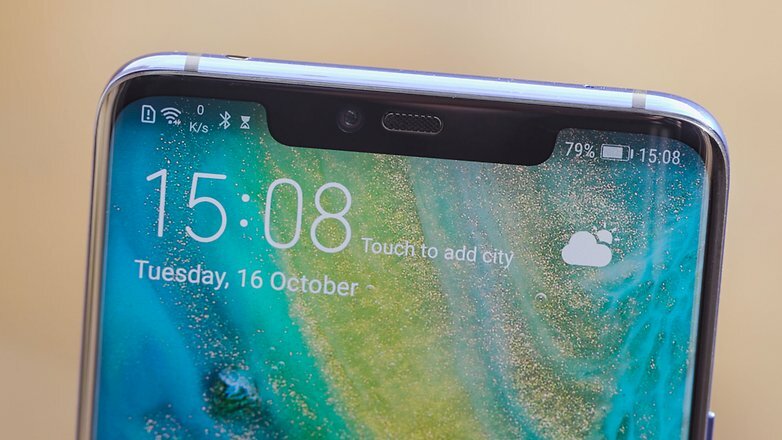 Huawei is calling this their Hyper Optical Pattern, and it also makes the Mate 20 Pro a little more slip-resistant. The Mate 20 Pro is quite thick at 8.6 millimeters so that the device can pack in a big battery. The back is flat, as the main camera doesn’t protrude from the device. In the video you can see the design of the smartphone from all sides. Not everyone will like the wider notch or the curved display. , and the Mate 20 Pro is no exception. The OLED display is 6.39 inches and has a 19.5:9 format. Thanks to the QHD+ resolution of 3,120 x 1,440 pixels, the screen has a pixel density of 537 ppi. But these are just the bare numbers. In our first test, the display made an excellent impression – rich colors, deep blacks and the high contrasts all look great. The display can also be very finely adjusted to your individual habits. The slight bend on the long sides is hardly noticeable, but it does make the Mate 20 Pro a little rounder and easier to hold, although the device is quite large. The display edges don’t have special functions like Samsung devices. : a fingerprint sensor and facial recognition. The fingerprint sensor is directly integrated in the display, a technology that is now slowly reaching the masses. It takes a while to set up the fingerprint reader, but it works really well and quickly. 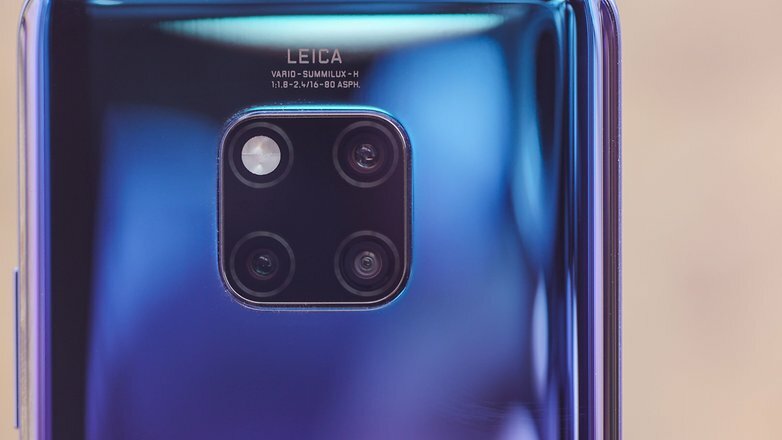 Huawei has provided the Mate 20 Pro with an infrared module that is intended to make the recognition better and faster than purely optical recognition with the help of a camera, especially in low-light conditions. We weren’t able to test the function yet, but it works pretty well in the light.
. 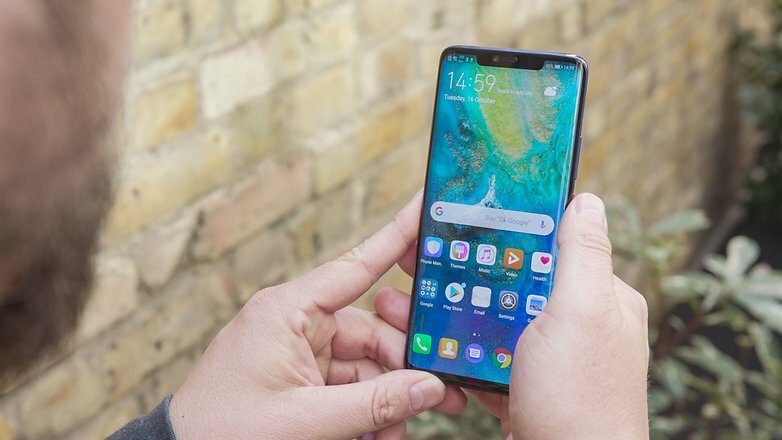 The current version of Huawei’s user interface has become slimmer and clearer, and the system’s controls are now much easier to use than before. EMUI is full of exciting features, especially in terms of security. 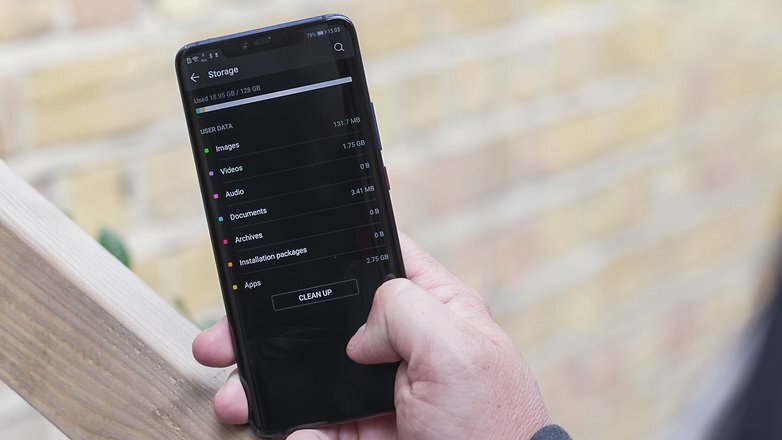 The Mate 20 Pro now has its own password manager for locally storing passwords. The App Lock and File Safe can now also be used with fingerprints and face recognition. There are a bunch of backup options available: the cloud, private NAS, local storage and USB data carriers. With Huawei Easy Projection, the smartphone can be used as a replacement PC, similar to Samsung’s DeX. With the Mate 20 Pro, you can do this either with a cable connection, wirelessly via Miracast and in true two-screen operation. Documents and photos can now be sent directly to network printers via Huawei Share. This is all in the spirit of product innovation, which has always been the focus of the Mate series. , so you’ll never be lacking for power. Since Huawei provides the Mate 20 Pro with plenty of memory, the smartphone should still be running fine in two or three years’ time. We’ll come out with a specific article about the benchmarks, performance tests, and gaming on the Mate 20 Pro in the coming days, so stay tuned! The Mate 20 Pro is available with 128GB of memory, and there are no other variants. 128GB should be sufficient, but among top-range smartphones, Apple and Samsung offer options with more. The Mate 20 Pro’s expandability speaks for itself, and Huawei is offering option of using the hybrid slot for a second SIM or memory card. Curiously, however, Huawei doesn’t rely on microSD like other manufacturers, but does support a so-called NM card. This nano memory is as big as a nano SIM, which should save space inside the components – but a microSD isn’t much bigger. As of now, there are only NM cards from Huawei, since other manufacturers don’t offer the format. This is indeed a strange decision, and customers likely won’t be jumping for joy. Only one of the three cameras is optically stabilized. You can switch between the focal lengths in the camera app, either step-wise (0.6x, 1x. 3x and 5x) or using the slide control. The front camera has 24 megapixels and an f./2.2 aperture. The first time you try it out, the camera gives a good first impression, especially thanks to the varying focal lengths. You’ll immediately notice that the ultra wide angle lens opens up even more creative possibilities. The 16mm lens can also be used for close-up shots, even as close as 2.5 centimeters from objects. It’s easy to do without the monochrome sensor, especially since the app still has a monochrome mode. We’re only able to judge the quality of a few images in this initial test, but expectations for the Mate 20 Pro are indeed high. The truth is that Huawei still has some room for improvement when it comes to real-time filters for videos. The retro filter is extremely slow. The portrait color mode, in which the background appears monochrome and people are in color, still makes small mistakes when the subjects are moving. The video bokeh mode is nowhere near as accurate as it the photo bokeh mode. 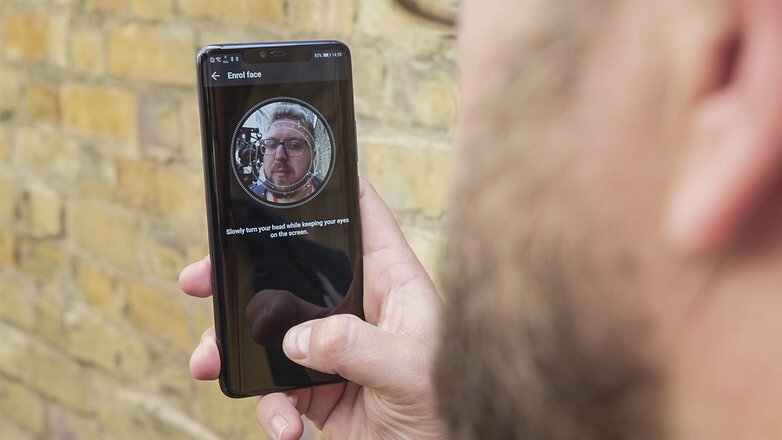 Experience has shown that Huawei always updates its camera shortly after a smartphone is released, and these updates tend to affect the camera. We’re curious to see if the Mate 20 Pro will be the same again and if this will affect the new video features.
. There are now 4,200 mAh, that’s 5 percent more in comparison to the Mate 10 Pro. This should give the Mate 20 Pro pretty good battery life, and the Kirin 980 is the big question mark here. We’ll have to investigate the energy efficiency in our test. It can be charged either with the new quick charger with up to 40 watts of power (30 minutes of charging time means 70 percent battery) or wirelessly with up to 15 watts. Huawei has given the Mate 20 Pro a special gimmick: wireless reverse charging. This means you can use the device to wirelessly charge any other Qi-capable smartphone. Friends with an iPhone XS or other smartphones might enjoy this feature in the evening when their battery is about run out. From our first trial, the Huawei Mate 20 Pro at least lives up to our anticipation from before its launch. The triple camera is of course the big highlight, but the device of course has much more to offer. There aren’t any big problems that we’ve discovered, but we didn’t expect anything different. The Huawei Mate 20 Pro is visually and technically a smartphone in a class of its own. One thing is clear: the battle for the smartphone throne is closer than ever this year. The iPhone XS, Samsung’s Galaxy Note9 and Google’s third generation Pixel will all be worthy opponents. This gives us even more reasons to take a closer look at the Mate 20 Pro.